For hike #700 (and to celebrate my 40th birthday and the 5th anniversary of the launch of this site) – here is the Trans-Catalina Trail, one of the most challenging and unique hikes in the L.A. area. 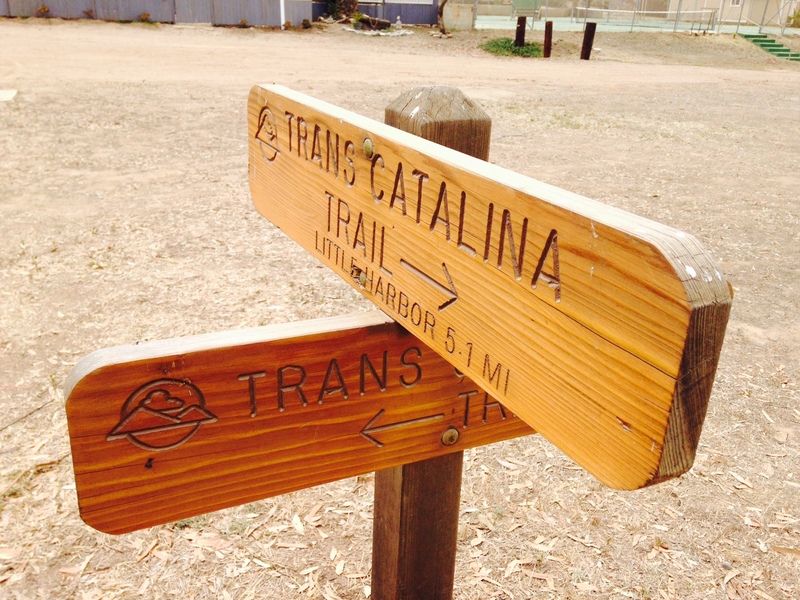 The Trans Catalina Trail was dedicated in 2009, comprised of several existing dirt roads and a few miles of single-track. While the actual route itself is 37.2 miles (from outside of Avalon to Starlight Beach near the northwestern tip of the island), an actual through-hike requires a total of about 50 miles. 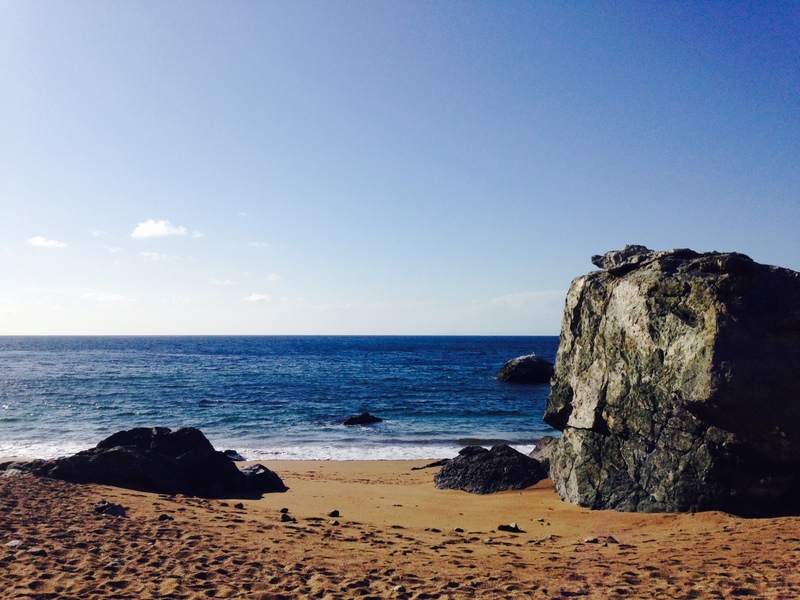 Starlight Beach is a dead-end so hikers must retrace their steps back to Two Harbors (about 11 miles). The southeastern end of the trail, near Avalon, is about a 1.5 mile walk on paved streets from the ferry terminal. If you decide to camp at Two Harbors, the campground is a quarter mile each way from town. In many ways, the T.C.T. is an anti-backpacking trail. While backpacking often conjures up visions of alpine vistas, quiet shaded forests and other scenic rewards to make the effort more enjoyable, the Trans-Catalina Trail has precious little of that. The majority of the route is on exposed bulldozed trails that rise and drop steeply. Noise from machinery, boats and light aircraft coming to and from the Airport in the Sky is prevalent. There are virtually no natural water sources on the island; the campgrounds have water but it is generally lukewarm, with a “metal pipe” aftertaste, although beggars can’t be choosers. 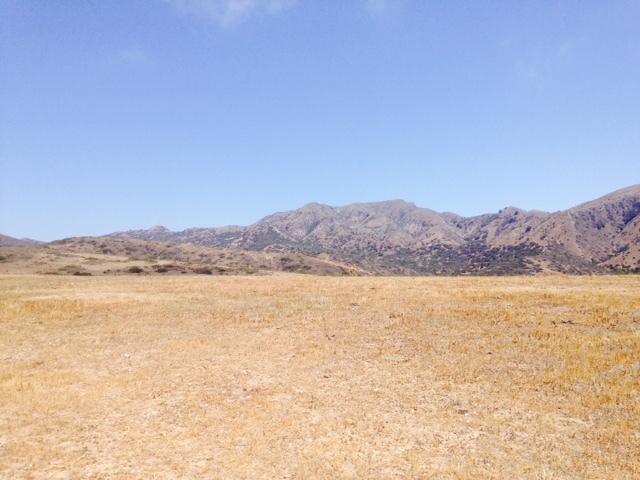 (With recent drought conditions as severe as they are, check with the Catalina Island Conservancy to make sure water is available). Two Harbors and the Airport in the Sky offer amenities (including catered meals delivered to the nearby camp sites), meaning you will never go a day without at least some contact with civilization and opportunity to resupply, although backpacking purists may take exception to that. So why do the trail? Besides the challenge, it offers excellent views of the entire island. From the highest points, you can see the mainland, and at various stages, San Clemente, Santa Barbara, Santa Cruz and Anacapa Islands. 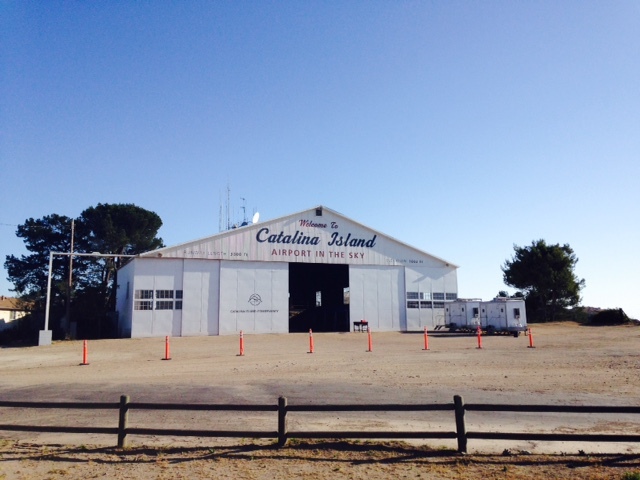 The nearly aerial views of Avalon are not to be missed; the vintage Airport in the Sky is an enjoyable place to grab a meal while enjoying vistas from 1,600 feet up; wooded Black Jack Campground offers a taste of the Angeles National Forest while the beach at Parsons Landing is as enjoyable a place to camp as you’re likely to find. 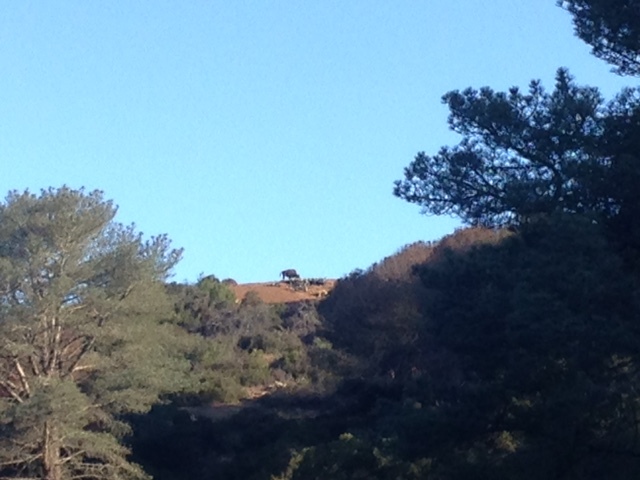 A few scattered pockets of oaks make for quiet spots to grab some rest and there’s a good chance you’ll see at least one of Catalina’s famous bison. NHLA is not a backpacking site so I’ll refer readers to the sites and blogs on this list for more thorough information about backpacking. For the purposes of this post, however, here is what I packed for the Trans-Catalina Trail with the approximate weight. Total: about 32 pounds; a little on the heavier side but well under the recommended 25% of my total body weight. Knowing that I would get several nice hot meals on the trip, I filled out the rest of my food with the guideline of 100 calories per ounce of weight. In theory, trail mix, with its balance of carbs, sugar and protein, is a good staple; in practice, the heat ended up melting the chocolate and with limited water, I didn’t want to make myself any thirstier than necessary with almonds and nuts. The traditional way to hike the T.C.T. is north-west bound, starting in Avalon and returning to Two Harbors. Due to scheduling and the lack of availability of camp sites, I ended up doing the hike in the opposite direction, which has its advantages. It spreads the workload more evenly over the four days (four days is the most common time frame; some prefer to extend it to 5 or 6 while a few die-hards have been known to tackle the whole thing in three days). There are more options for catching ferries out of Avalon than Two Harbors, meaning that you won’t be under as much time pressure on the last day. The long descent around East Mountain, with its wide-ranging ocean views and subsequent approach to Avalon make for a nice conclusion to the hike. 6.5 miles; 1,800 feet of elevation gain; total hiking time 3.5 hours. For information on Parsons Landing, click here. As the boat approached Two Harbors, I made a snap decision which likely influenced the success of my hike. I had planned on making an easy first day of walking to Parsons via the relatively flat West End Road but instead opted to tackle one of the toughest stretches of the T.C.T. with my fresh legs. This proved to be key in that the stretch from Parsons to Starlight Beach (day 2) was considerably tougher than I’d expected and having to do the very steep climb and descent between miles 26 and 32 already having logged 9 miles would have been a death wish. Thus, my hike ended up not being a literal through-hike in that I left the T.C.T. on Day 2 for 7 miles before rejoining it in Two Harbors, but for hikers doing the trail south/east bound, strongly recommend this approach. 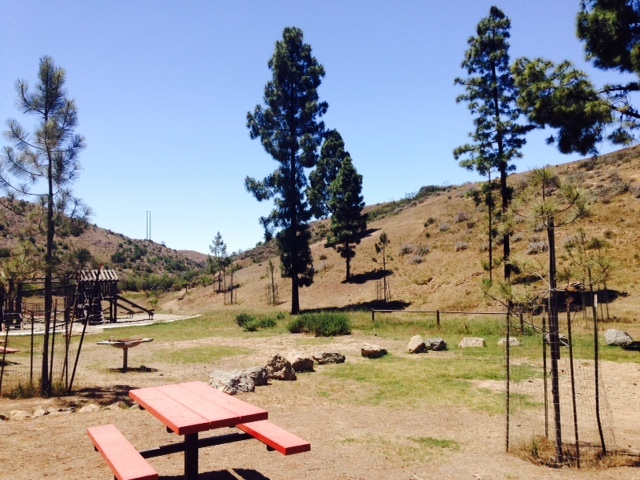 After checking in at the camping concierge (located literally at the end of the dock) and receiving your locker key for Parsons as well as your camping permit which also doubles as a hiking permit, pick up any last minute supplies from the store, walk past the schoolhouse and playing field and begin your Trans-Catalina Trail odyssey. 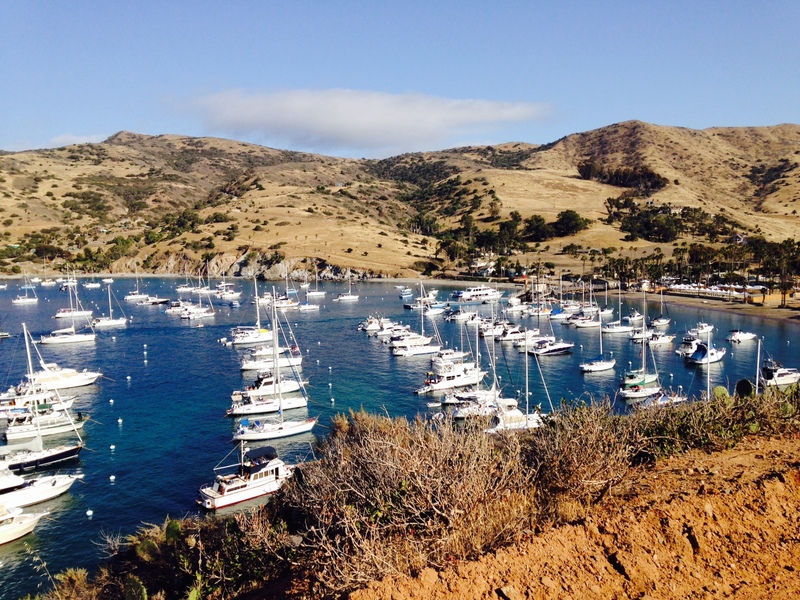 You start with a pleasant, level stroll along Catalina Harbor, allowing you to get used to the extra weight of the pack before the work begins. Near the mouth of the harbor, the trail makes a sharp right turn and begins the first of many ascents. The good news is that as you work your way up the steep, exposed grade, the views get better and better; as you gain a ridge you can see both coasts of the island. After Water Tank Road (2.5 miles from Two Harbors) the ascent becomes more moderate. To the west, if visibility is good, you may see Santa Barbara Island in the distance. 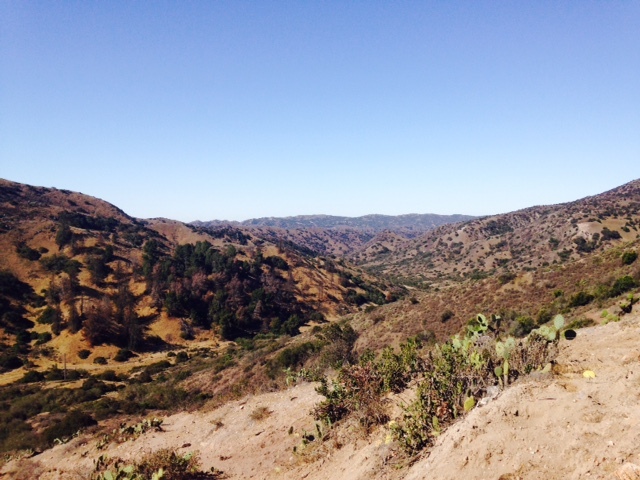 This is the highest area of the Trans-Catalina Trail, above 1,700 feet. The trail levels out and meanders pleasantly along the ridge, passing a junction with Boushey Road (4.5 miles) and then arriving at Fence Line Road. The views here are excellent, so take a minute to rest and enjoy them before beginning the notoriously steep descent. Fence Line Road drops precipitously, descending 1,200 feet in 1.3 miles. As you admire the wide-ranging ocean views before you make sure you watch your footing. The trail levels out at mile 32 (6 miles from Two Harbors), meeting a junction with West End Road. Stay straight and look for a spur on the left leading to the beach. At Parsons Landing, find your locker where you will receive a bundle of fire wood and 2.5 gallons of spring water. The eight camp sites are not marked, but are numbered from east to west. 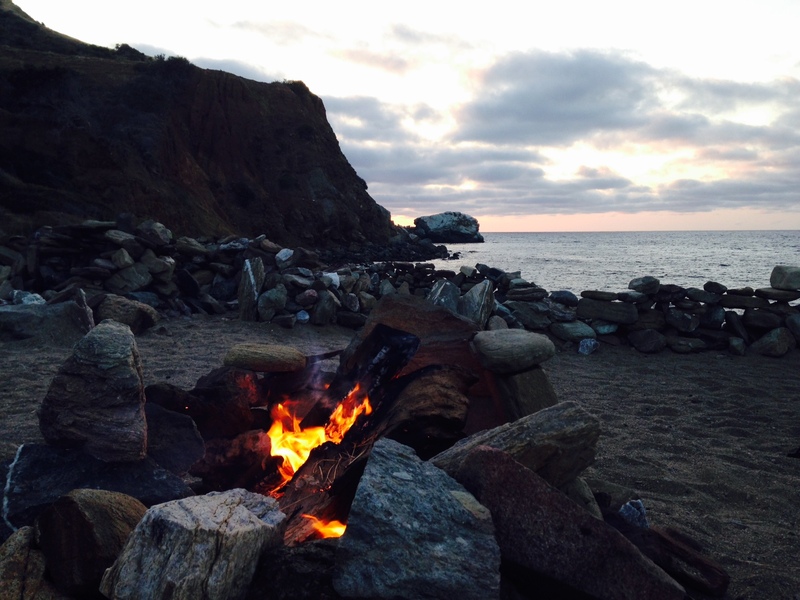 The lapping of ocean waves and croaking of frogs in the nearby canyons make this an enjoyable place to spend the night. 16 miles; 2,600 feet of elevation gain; total hiking time 8.5 hours. Information on Two Harbors camping here. Information on dining options in Two Harbors here. After breaking camp, leave Parsons Landing and head west on the T.C.T., ascending on the fire road that departs from the lockers and trash. You pass another junction with West End Road and begin a steady rise, climbing about 650 feet before the trail levels out. It follows the coastline for a pleasant mile or so, making one last ascent before abruptly dropping 400 feet. As the trail makes its way toward the western end of Catalina you may glimpse Anacapa and Santa Cruz Islands in the distance. Shortly after mile marker 36, you make another steep ascent, reaching a junction with the Silver Peak Trail. Here, you are rewarded for your efforts with a panoramic view before making a long, curving descent to a junction. A steep spur drops to the trail’s end, Starlight Beach, which is a beach in name only. In fact the trail’s official end is about as unceremonious as possible; it’s simply a sign in a dirt clearing. Still, it’s a nice place to rest and enjoy some peace, quiet and ocean views. 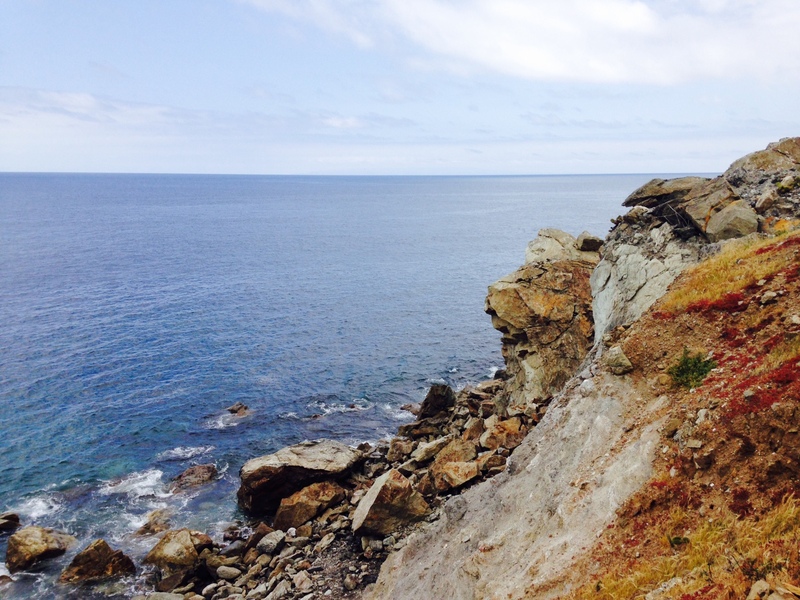 You can reach the ocean by walking carefully along the tops of the bluffs and climbing down the rocks. When ready, retrace your steps back to Parsons Landing and up the spur to the junction with West End Road. Continue along West End Road, passing by Emerald Bay, a private campground (you may be able to get water here). From Emerald Bay, take the middle of the three roads leaving the campsite and follow it all the way into Two Harbors, passing junctions with the lower ends of Boushey Road, Water Tank Road and the Goat Whiskers trail. In town, you can shower, do laundry and grab dinner before heading uphill about a quarter mile to the campground. Expect company and don’t expect the 10pm noise curfew to be enforced, although the good news is that you will likely be too tired to be kept up. 12.5 miles; 3,400 feet of elevation gain; total hiking time 8 hours (plus breaks at Little Harbor and Airport in the Sky). Black Jack camping information here; Airport in the Sky/DC-3 restaurant information here. After relaxing, resupplying and replenishing in Two Harbors, pick up the T.C.T. just as you did on the first day but this time turn left and head east. The five miles to Little Harbor are described in greater detail here. 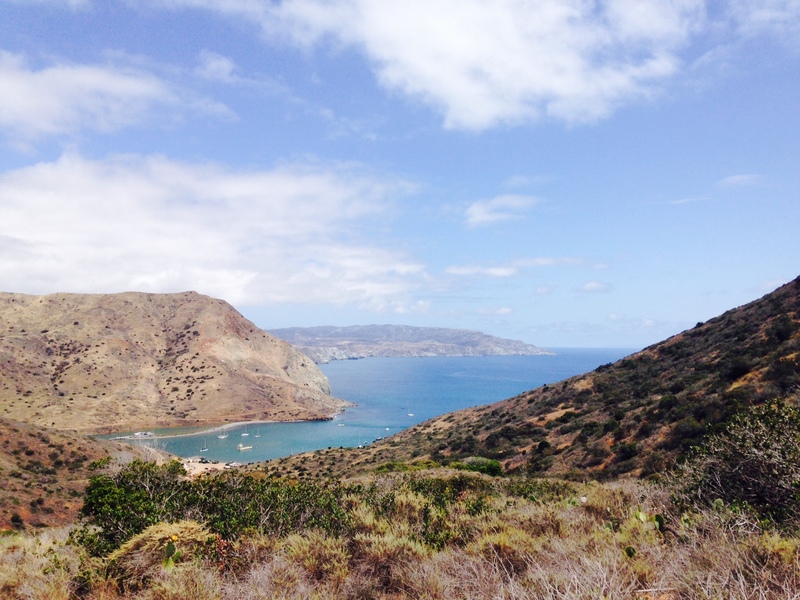 You begin with a steep, steady ascent, passing a junction with the Catalina Harbor Overlook Road and ascending to a ridge with great views of the island’s interior, including the two highest peaks: Black Jack Peak and Mt. Orizaba. At the high point between Two Harbors and Little Harbor, a shade structure provides relief from the heat and excellent views of the island’s west coast. From the shade structure, the trail becomes a single-track, snaking its way down the ridge, making a brief climb and descending some more before finally arriving at Little Harbor. If the picnic site nearest to the trail is unoccupied it’s a nice place to sit and relax before the second big ascent of the day. You can resupply your water here as well. Out of Little Harbor, the T.C.T. begins a steady ascent on a stretch of fire road also known as the Sheep Chute. Other than between mile markers 19 and 18, when the road is quite steep, the grade is more moderate than on the earlier stretch. Shortly after mile marker 18, the trail bends east, providing excellent views in both directions as it follows a ridge. After marker 17, the T.C.T. turns right where it shares the route with the Airport Loop Trail, bringing you to the Airport in the Sky. Here you can grab dinner (call 310-510-2196 to confirm the hours; the restaurant is open until 6pm during the summer but may close early) and enjoy the views, perhaps get some up-close looks at planes, before continuing. 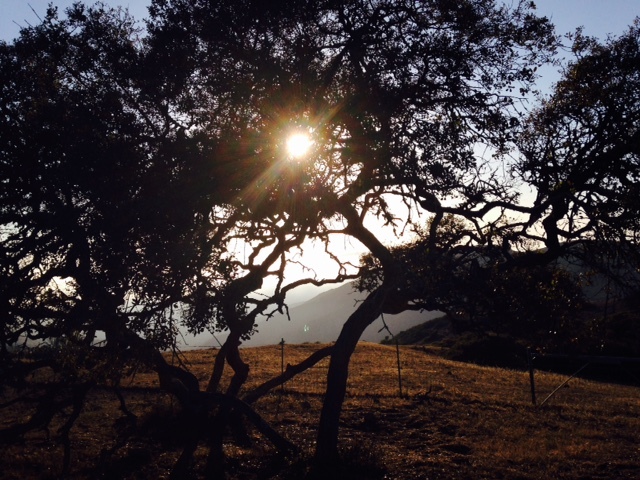 The last stretch of today is one of the more enjoyable segments of the Trans-Catalina Trail. 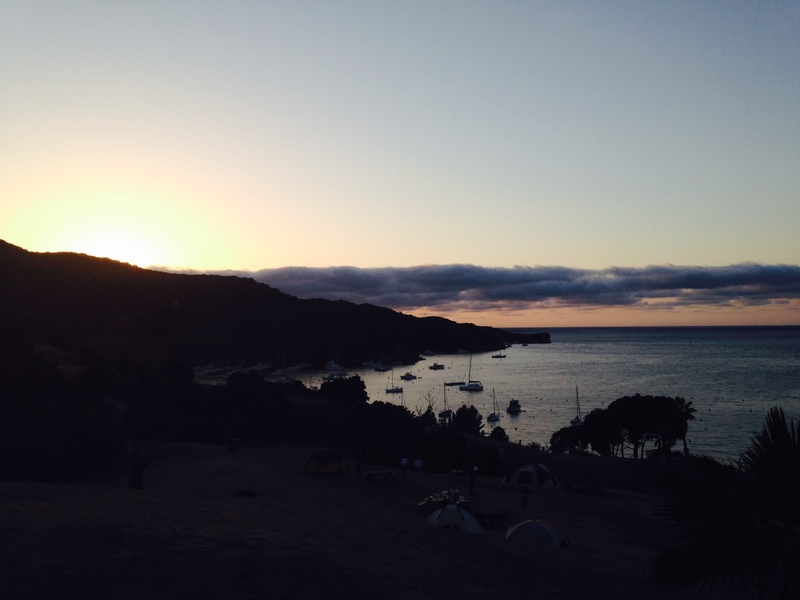 It dips into a wooded canyon, shaded by scrub oaks, often feeling more like the Santa Monica Mountains or Los Padres foothills than the exposed terrain typical of the island. After merging with Upper Cottonwood Road, the trail ascends to the top of a ridge at Black Jack Road, where you get your last view of the island’s west side. Turn right and follow Black Jack Road a short distance to another junction, where you’ll turn left and descend to the campground, just past mile marker 14. 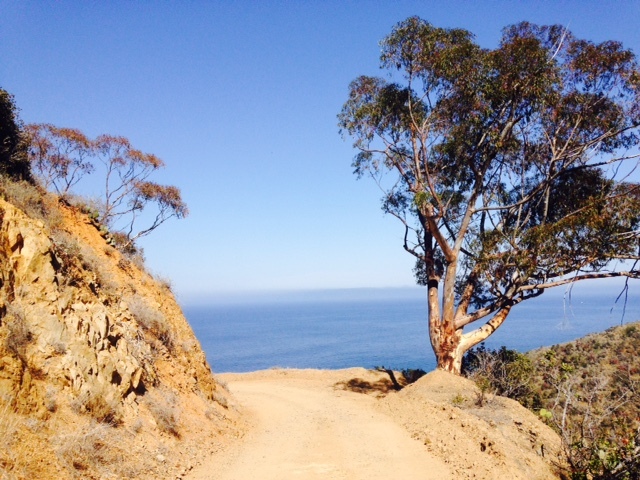 From Black Jack, the Trans-Catalina Trail dips downhill into Cape Canyon. 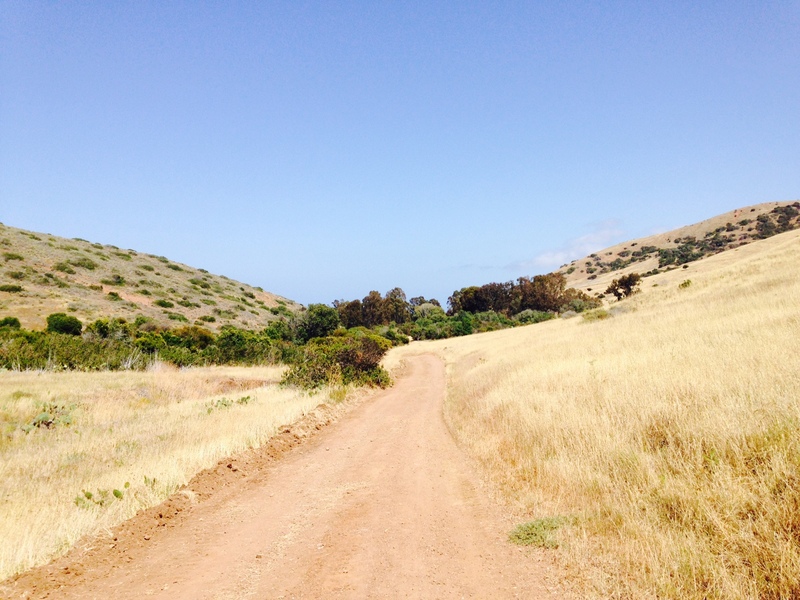 You enjoy vistas of the Catalina’s interior from this single-track section of the trail, which once again resembles the foothills on the mainland more than the island. After merging briefly with Upper Cape Reservoir Road, the trail enters an attractive oak grove where a wooden bench makes for a good rest spot before the first major ascent (about 300 feet) of the day. You make a steep climb to a ridge, topping out at mile marker 12, descend to Middle Ranch Road and make another ascent of about 300 feet to KBRT Road (Renton Pass Road on some maps.) After a more moderate descent and ascent, the trail crosses and briefly loops around Airport Road. It heads south, paralleling Airport Road, before dropping to the Haypress Reservoir at mile 9 and an attractive picnic area soon after. Water should be available here; this is the last water on the route. After relaxing at Haypress, leave through the front and briefly follow Airport Road before turning right at a junction. The trail then takes a quick left, heading through a gate and beginning a steep ascent on a single-track. At the top of the incline, you’re rewarded with excellent views in all directions. You pass by a radio tower (head straight, ignoring the route branching off to the left) and begin a gradual descent. At about mile marker 8, you get your first glimpse of Avalon far below. The trail continues south, passing turnoffs for Lone Tree Point, Hermit Gulch (a shade structure here makes for a good rest spot, with some terrific views) and Memorial Road, about halfway between mile markers 6 and 5. Here, you begin the last–and longest–ascent of the day. Unless you’ve gotten off to an exceptionally early start and have made quick time, it will probably be mid afternoon and the sun can make this part of the trail seem particularly unforgiving. After about two miles of steady ascent, the trail tops off near East Mountain, the highest point of the day. 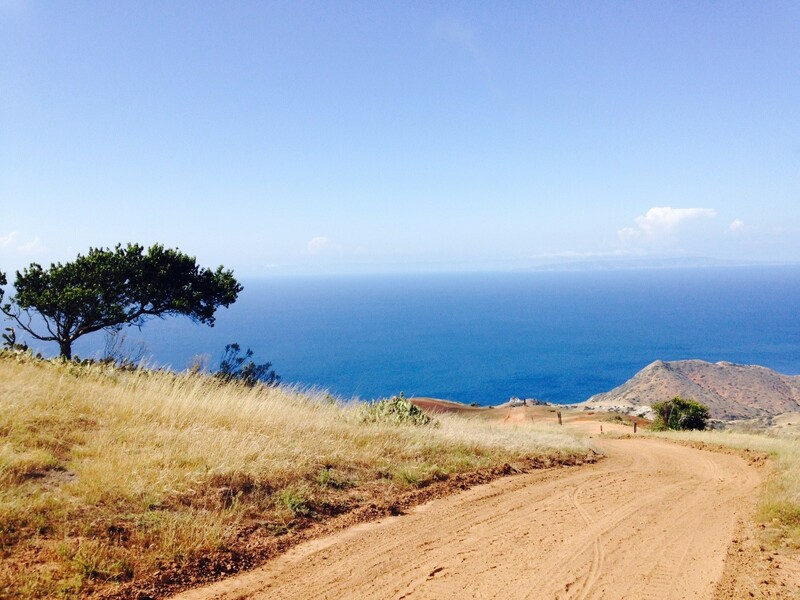 At mile marker 3, you begin a long, curving descent, taking in great views of the south and east sides of the island. Eucalyptus trees provide some welcome shade on this stretch and with its eastern exposure, the trail is also partially shaded by the ridges, although a considerable amount of it is still exposed. Near the end of the T.C.T. The trail meets a T-junction with Renton Mine Road, which shares the last 1.4 miles of the trail. 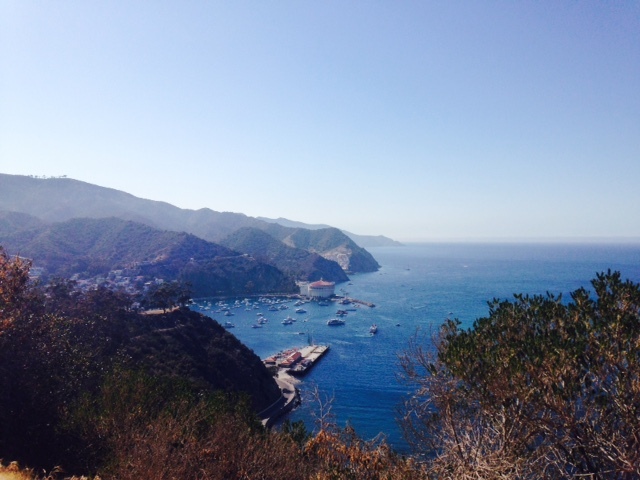 Head left and continue your descent, finally reaching the end of the Trans-Catalina Trail. Your work is not done yet: to get into Avalon, follow Wrigley Road uphill and then descend into town, enjoying a view of the harbor and casino. Keep an eye out for rented golf carts; there is no sidewalk until you get into town. Once in Avalon, there are plenty of places to reward yourself with a meal, snack or drink before catching the boat back. No matter how experienced you are as a hiker or backpacker, no matter how good your physical condition is, odds are there will be times on this trail when your morale will be tested. 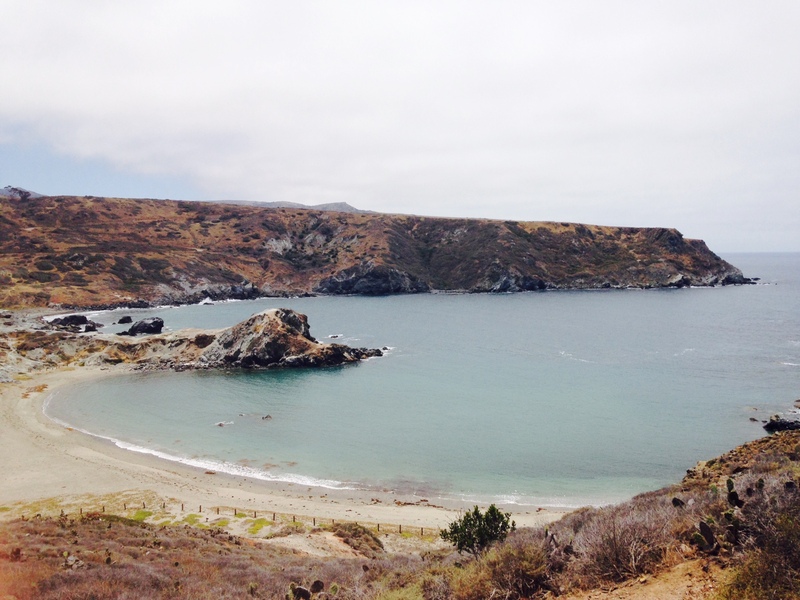 Still, hiking the Trans-Catalina Trail is a memorable and one-of-a-kind experience and completing it is one of the biggest accomplishments any L.A. area hiker can claim. 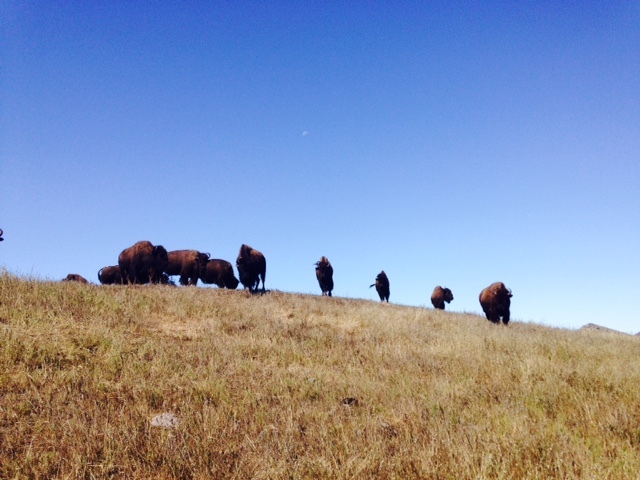 As trying as the trail can be, don’t be surprised if back on the mainland you find yourself missing the sight of a lone bison standing on a ridge, the shade of a hardy cluster of scrub oaks, the wide-ranging, unobstructed ocean and mountain views and the depth of solitude and isolation that can be found in all too few places. Congratulations and happy birthday! Thanks for the great write up. This one is one my list of hikes to do but it will probably be a year or so before I try it. Thank you my fellow bass playing hiker (or is that hiking bass player?) Hope you make it out there! Thanks for posting. I had no idea this trail existed! You’re welcome, glad you enjoyed the write-up. The T.C.T. is fairly knew (2009 or so), although a lot of the roads existed before. Lots of people on the island don’t even know about it. However, it is becoming better known and I think in time it will be a popular through-hiking destination due to its proximity to L.A.